Time to do something ridiculously British and talk about the weather! It’s actually been very kind to us so far this year with lots of sunshine interspersed with rain showers. 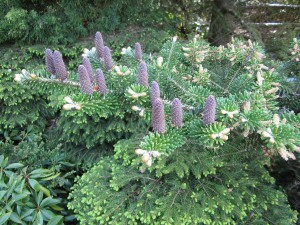 As a consequence the garden has sprung to life. This being our first Summer here I was feeling quite wistful about my previous garden, though small it was an Edwardian walled garden where everything seemed to grow (including grapes). When we came here I loved the fact that we had a larger space, but it was sparse and unloved. 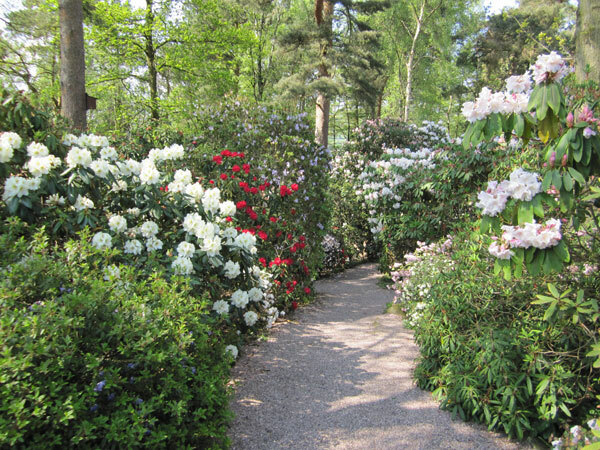 Certainly not the English country garden that I longed for and it still wont be for quite a few years. 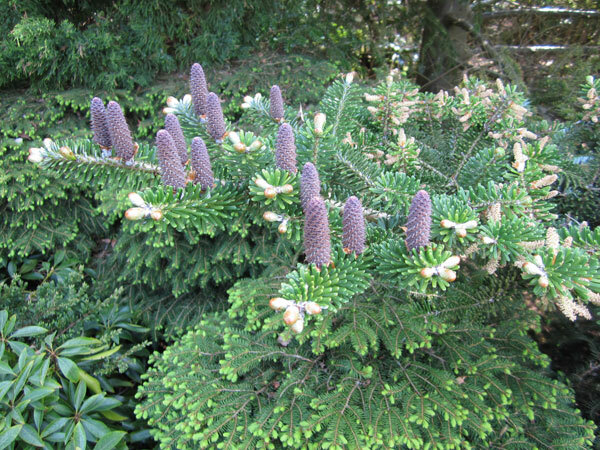 Although over the last few weeks we’ve seen flowers opening and some colour appearing at last so I know we’re on the right path. 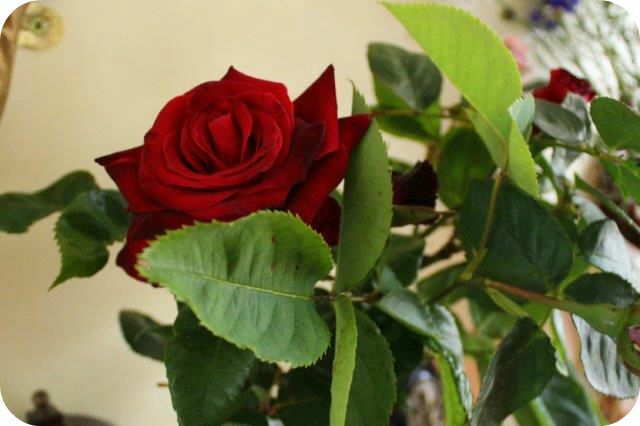 For my wedding I chose a deep red tea rose called Romance. 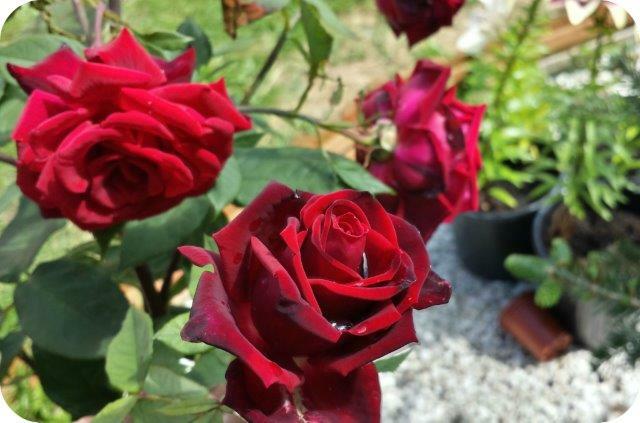 I dearly wanted to grow it myself, but it isn’t available as a home plant so I looked for the closest Rose I could find and grew a couple of varieties in pots. 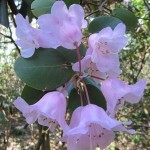 They have a velvety soft look to the petals which I adore. 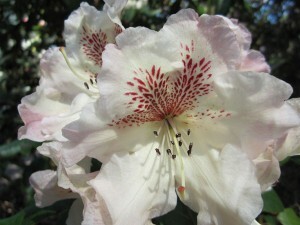 I’ve also developed a fondness for proper English flowers and planted hundreds of seeds. 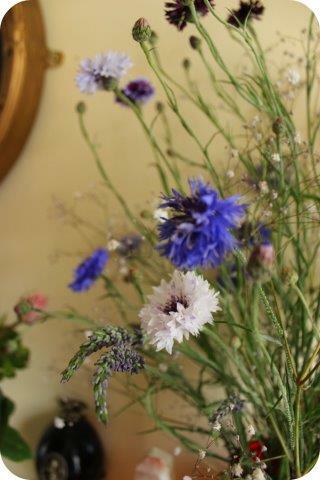 Unfortunately not everything has grown but the Cornflowers are a triumph. They look wonderful in vases along with Lavender sprigs and poppies. 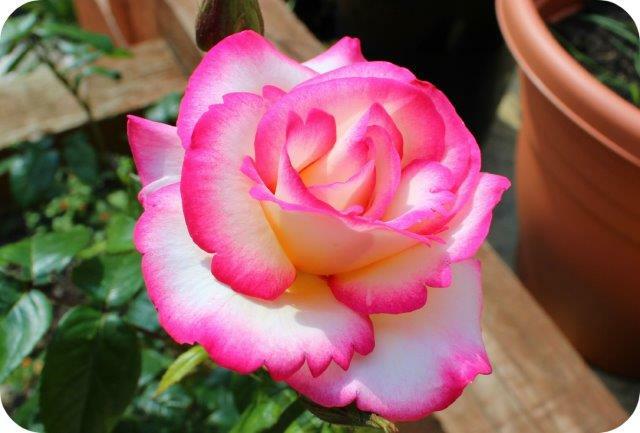 This rather amazing candy coloured Rose came from a pound shop, I’m not sure it looks like the packet but it’s got a wonderful pattern to the petals. 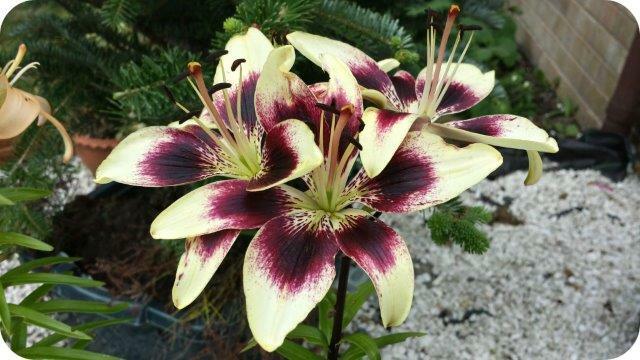 We’ve also had a go at growing Lilies in pots, these are by far my favourite, they’re so dramatic with their deep purple centres. 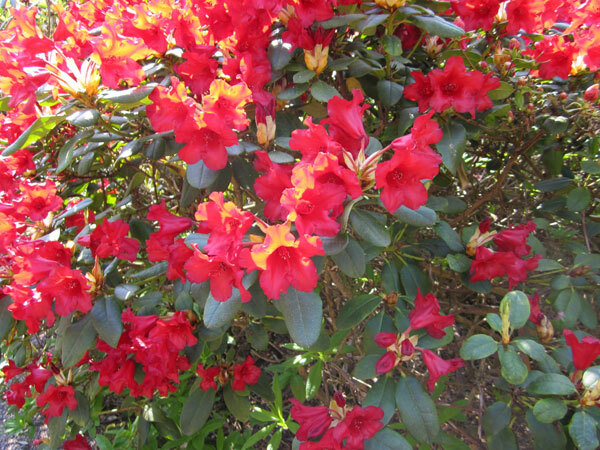 Spring is in the air and with Mother’s Day fast approaching it’s perfect timing for today’s Serenata Flowers review and giveaway! Flowers are beautiful in all shapes and sizes and there’s no denying that they can inject colour and joy into a room just by their presence. However buying a large and beautifully arranged bouquet can cost a pretty penny, especially if you purchase from one of the large well known florists. 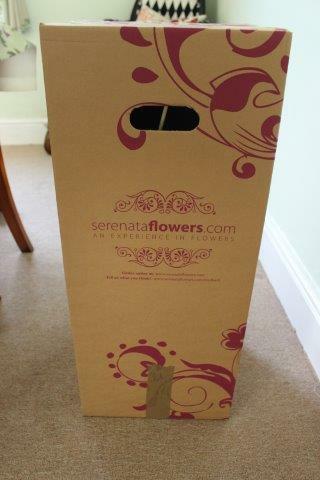 Serenata Flowers offers courier delivery of large bouquets which cut out the middleman thereby saving you money, but can it really deliver the same standards of service and quality? 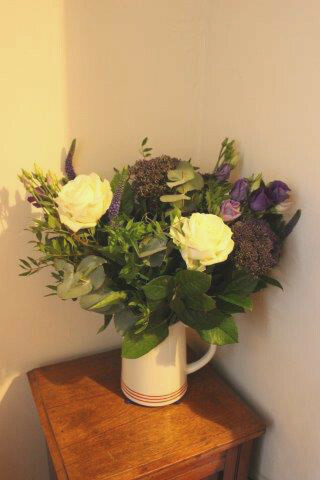 I asked Serenata to send me the brand new Ianthe Bouquet. 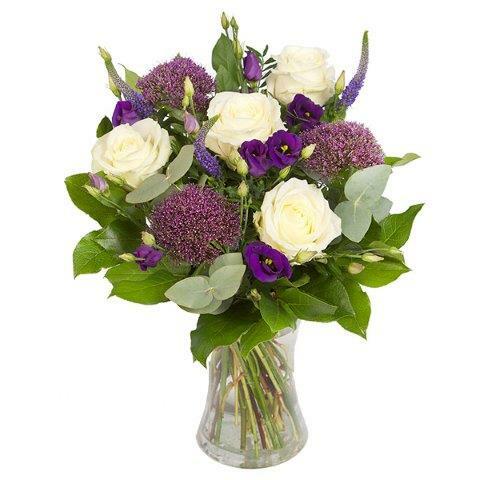 Ianthe means purple flower and this bouquet is awash with them, accented by pure white roses. 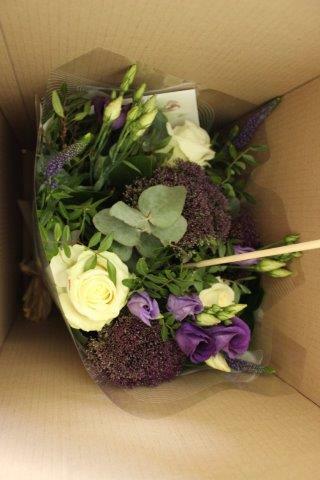 The flowers were dispatched the same day and arrived promptly the next in a large cardboard box, supported by a stake to keep them upright. The bouquet was a hand-tied arrangement which meant there was no presenting skills required, I simply had to cut the stems and place them into a vase. Did they look like the online photo? Bearing in mind the angle I took this photo from missed out a couple of the roses I think they were very close to the online picture. My particular vase also splayed the bouquet further outwards creating a slightly different shape. Cut flowers unfortunately never last long, however when you’re spending out considerable money I think it’s safe to assume we’d all like at least one weeks enjoyment from our bouquets. Here is my Ianthe bouquet on day 8. Hardly any noticeable difference to when they arrived! In total I got over two weeks enjoyment from my flowers. The roses were the first to die away but it all lasted very well indeed. 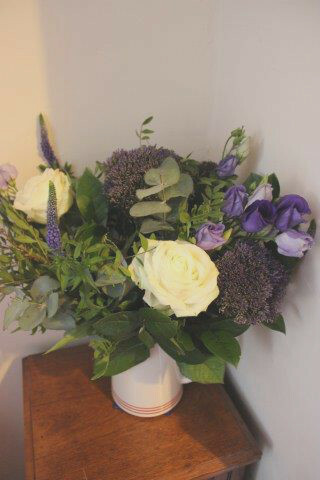 Would I recommend the Ianthe bouquet and Serenata Flowers? Definitely! I’ve been disappointed by other florists in the past but I thoroughly enjoyed my flowers from Serenata, delivery was swift, the flowers beautiful and they lasted and lasted. Don’t just take my word for it though, if you’d like to receive your very own bouquet from Serenata worth up to £35 then enter my brand new giveaway now. 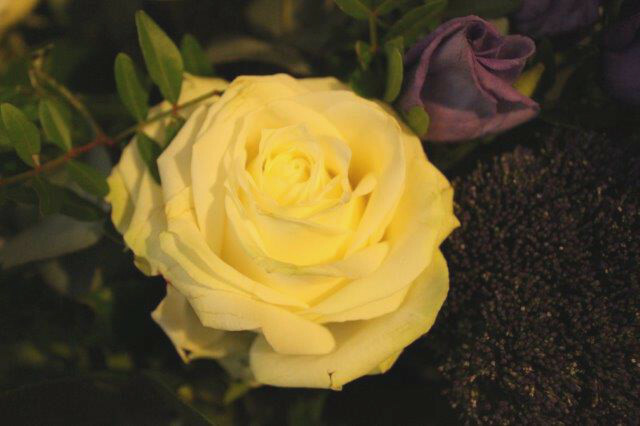 Serenata Flowers are offering one lucky Angel Eden Blog winner a bouquet of their choice worth up to £35 and delivered to any Mainland UK address. The competition will end at midnight on 27th March 2014 (UK mainland residents only please). I hope you’re all enjoying the sun and extra bank holidays (if you’re in the UK). We’ve certainly been taking advantage and visiting several local attractions. 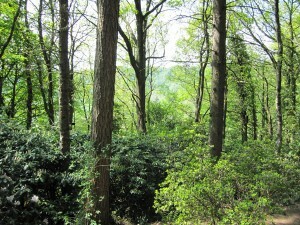 During the Easter Weekend we took a long overdue trip to Lea Gardens in Derbyshire. The wonderful thing about the gardens is the amount of paths and plants which meant plenty of shady spots to escape from the very hot sun. Lea itself is a small Derbyshire village where two notable figures have lived. Florence Nightingale was brought up here and the knitwear designer John Smedley started his famous business from Lea Mills. The gardens themselves are celebrating being in business for 50 years this year and all the plants are currently in full bloom. 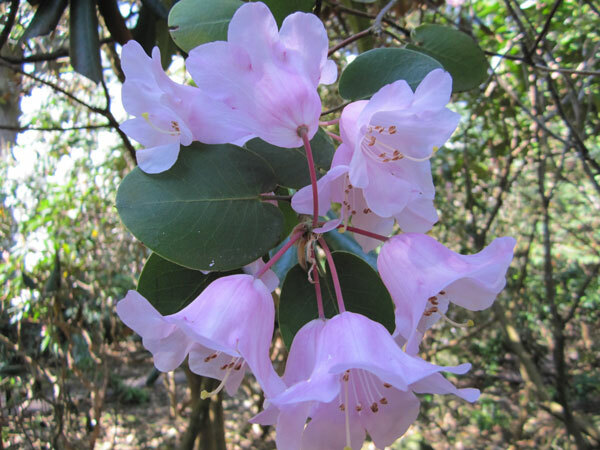 The upper part of the garden has numerous gravel paths between rhododendrons and azaleas and then further down the hill the garden becomes a woodland area with mud paths, trees and many bird boxes.